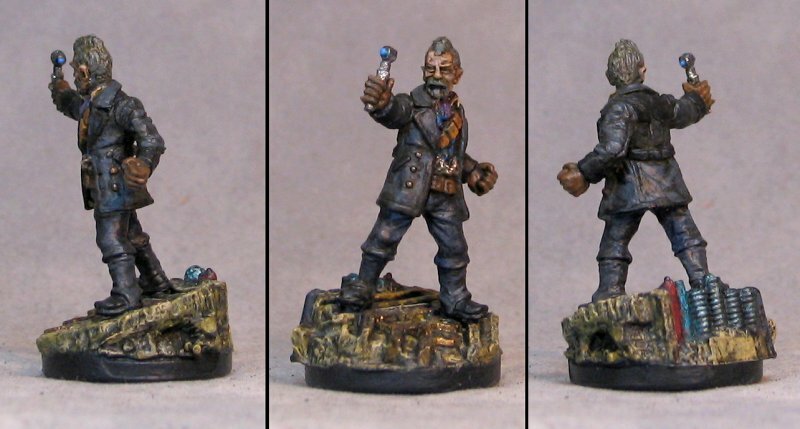 The excellent sculpt almost painted itself and I love how he turned out. 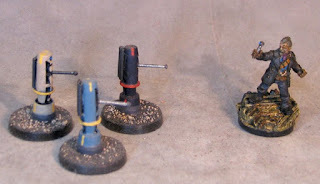 I decided against a plain base and decided to go with one of the high-tech rubble bases from the CMON/MicroArt Studios bases Kickstarter. 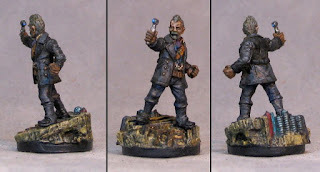 It seemed a fitting base for the War Doctor. 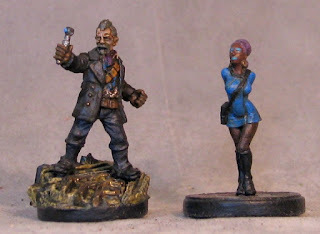 Some action shots of the War Doctor versus Biotronics (my not-Cybermen) above and some D1Ks (my not-Daleks) below. A possible cross-franchise companion above. 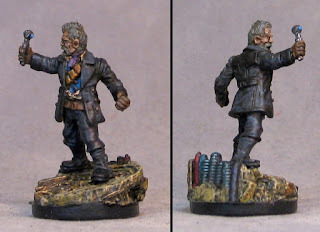 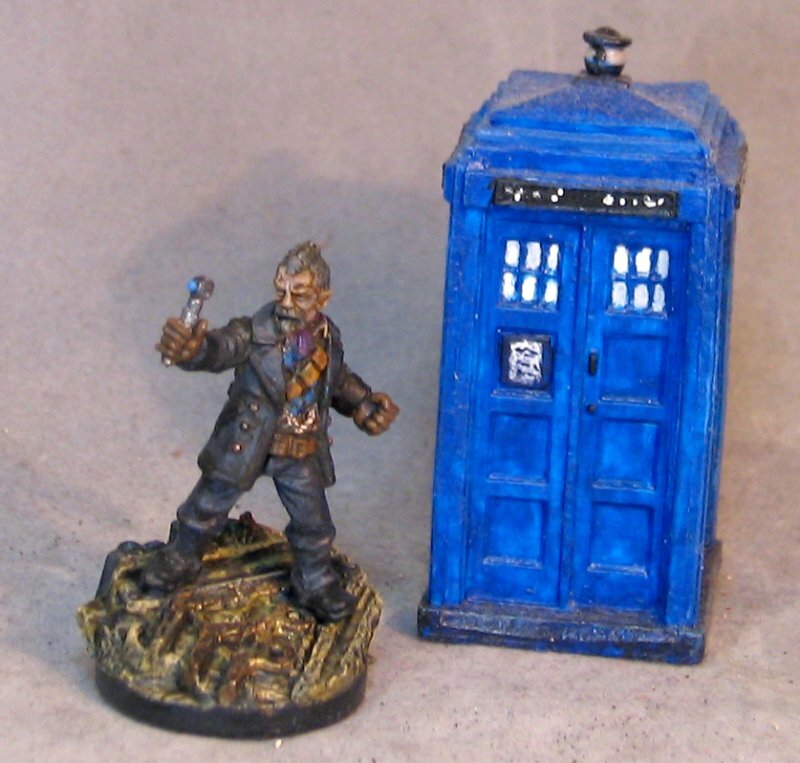 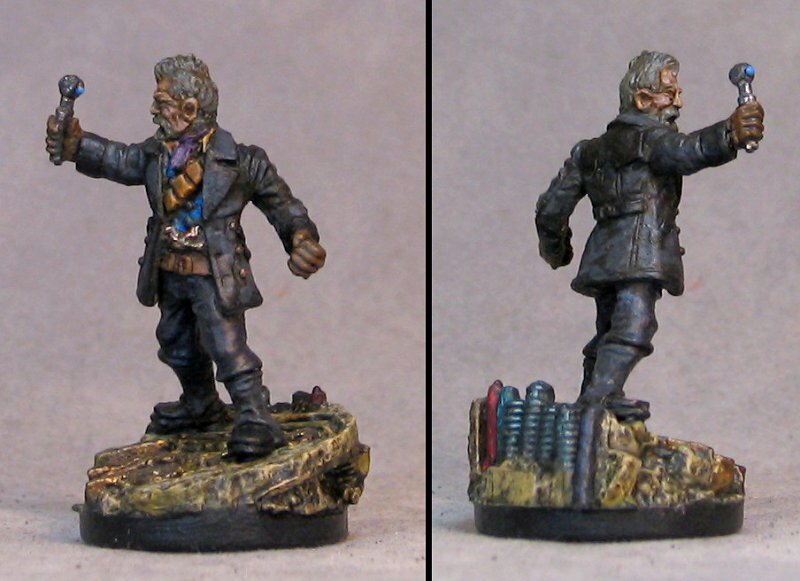 Below, the War Doctor with the Repaer Bones Tardis.